Oh, hello! A new visitor! What a pleasant surprise. I'm Qkudu and you've somehow stumbled to my little gallery on the internet. Here you can find the art I've made, a little bit of info about myself and other stuff I end up putting here. As you see I like dragons very much, heh! The site's still pretty new - as it's opened in 2019. I'm not quite sure yet what kind of stuff will end up to my website's dusty corners, but the main focus will be on my creations. I'll try to upload the place as often as I can. 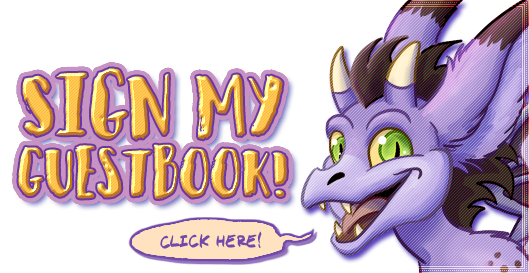 And before you leave, I'd be very happy if you wrote something to my guestbook! I guess that's all. I hope you enjoy your stay! visitor! Added Feb. 5. 2019. Hi all! I decided to make a little update. I've been drawing more stuff which is always nice, so now they're here. Also I added a bit of this and a bit of that to the site.